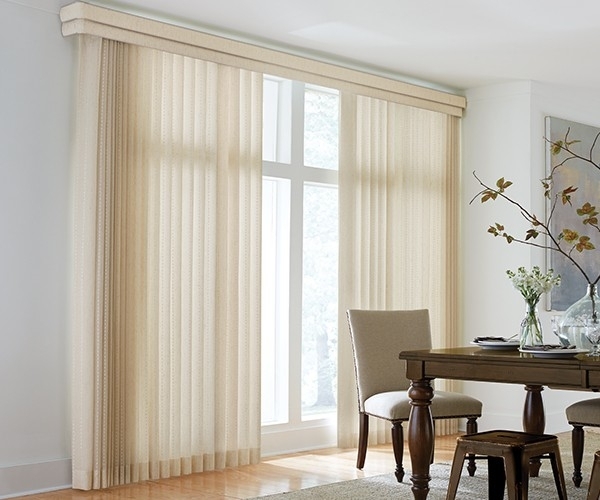 Sheer Vertical shades are a perfect combination of the smoothness of the sheer fabrics and have an awesome light controlling ability that is the chief characteristic of the vinyl blinds. The shades are very easy to maintain and clean as they are machine washable, and provide you with the ultimate privacy you want. Once the vanes are in the closed position, they can block the light completely and can illuminate the room gently when the vanes are in the open position.